"I have finally met the best foot doctor ever! Thank you Dr. Vern Christensen." "Foot Specialists of Mississippi is a must go if you are experiencing foot issues." "This entire practice is top-notch!" "I highly recommend the wonderful doctors and staff here." "The doctors here are extremely professional and know what they are doing!" "I will for sure recommend Foot Specialists of Mississippi to anyone." "Very impressed with the care I was given to me from this practice"
Foot Specialists of Mississippi offers comprehensive foot care services from expert podiatrists with the highest levels of training. Board-certified podiatrists Vern Christensen, DPM, MPA and Jeffery VanYperen, Jr., DPM, feel privileged to provide the community of Amory, Mississippi and all over North Mississippi with excellent medical and surgical care. Dr. Christensen, Dr. VanYperen, and the team of podiatry professionals at Foot Specialists of Mississippi believe that the best foot care involves teamwork between doctor and patient. They regularly research the latest developments in podiatric medicine and surgery and aim to empower patients by providing the information they need to make the best decisions about their health and wellbeing. 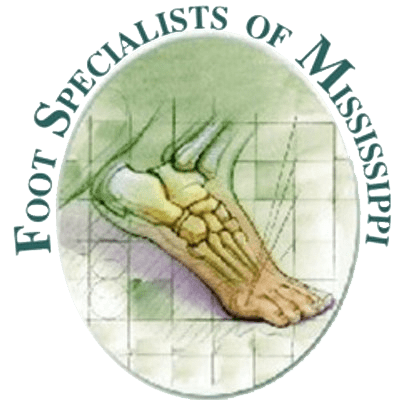 The compassionate team at Foot Specialists of Mississippi welcomes new patients and deeply appreciates the trust and respect of returning ones. They’re committed to exceeding expectations by offering a creative and professional environment and strive for continuous improvement at every level. Whether you need treatment for foot pain, plantar fasciitis, or plantar warts, Foot Specialists of Mississippi is here for you. Browse the website for useful information or contact the office to learn more.